Stop Spam. Stop Viruses. Prevent Data Breaches. 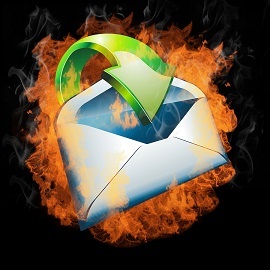 You Need More Than Just Email Spam Filtering, You Need Total Email Security! Your email application is probably the most used tool in your business. Email is used to send and receive information, and mailboxes also store large amounts of valuable information. How are you protecting this large stream of data coming in and out of your email systems, and how are you protecting the information that is being stored? Employees can frequently be the weakest link in your security, creating all sorts of innocent or malicious security vulnerabilities. A full featured email security solution can drastically reduce security vulnerabilities your business faces today. Stop Viruses. Stop Spam. Prevent Phishing Attempts with RMON Networks’ Total Email Security Solution. VIRUSES represent one of the highest risks to email security. They are so dangerous because they will deliver highly destructive infections which can bring down your entire email system or destroy the data you have stored. Contracting a virus can cost a business a lot when you add up the downtime to the users, and factor in the time your IT Team spent remediating the problem. SPAM is another email security risk, and sometimes known as junk mail. In March, the number of email antivirus detections reached 22,890,956, which is four times more than the average for the same period last year. Clearly, spam is an ever-increasing threat carrying viruses, malicious code, and phishing scam attempts. PHISHING is one of the fastest growing security threats, is becoming increasingly intelligent, and is highly lucrative for the phisher. Email Phishing is the attempt to acquire sensitive information such as usernames, passwords, and credit card details (and sometimes, indirectly, money) by masquerading as a trustworthy entity in the electronic communication. Once the phisher has your “keys to the castle”, the damages can be crippling. Real Life Example: RMON Networks met with a client who clicked on a malicious link within an email. This malware enabled the hacker to enter the user’s email application. The hacker searched around until finding some information on the company’s bank. The hacker then created a request from the email to their bank to wire transfer money. Luckily the bank stopped the attempt, but as you can see, the hacker put a lot of time and effort into breaching this small business. Scenarios like this happen all the time, no one is immune. Don’t let security be an afterthought for your organization. Require Even More Security for Your Email?